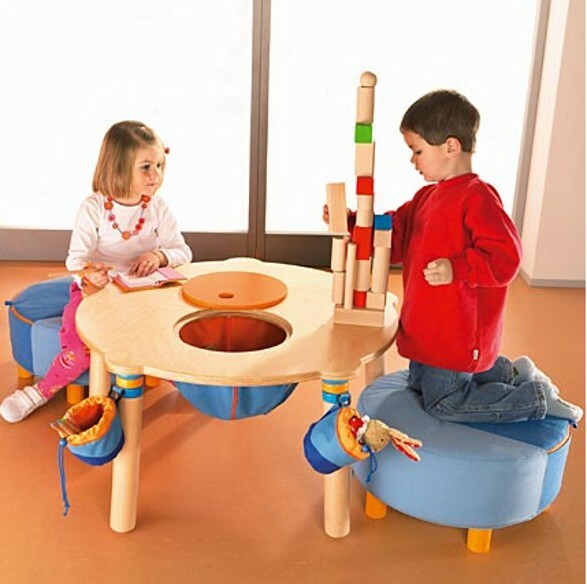 Haba round table is a perfect play table for even tree children. 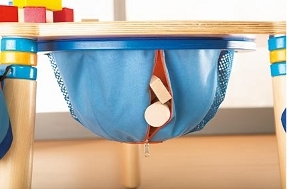 It has a hole with a bag in the middle and two additional bags attached to the legs, which are great storage space for building blocks or other children's stuff. It's made in beechwood and the height of the table top is adjustable. Little Flare by MAGIS me too designed by Marcel Wanders is not a novelty, however it is still up-to-date. 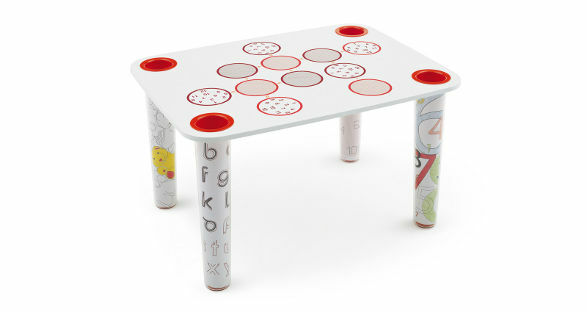 The patterned top stimulates kids creativity and supports letters and numbers reading learning. There is a sketch book enclosed with patterns to be completed and coloured and pen holders placed in ABS. 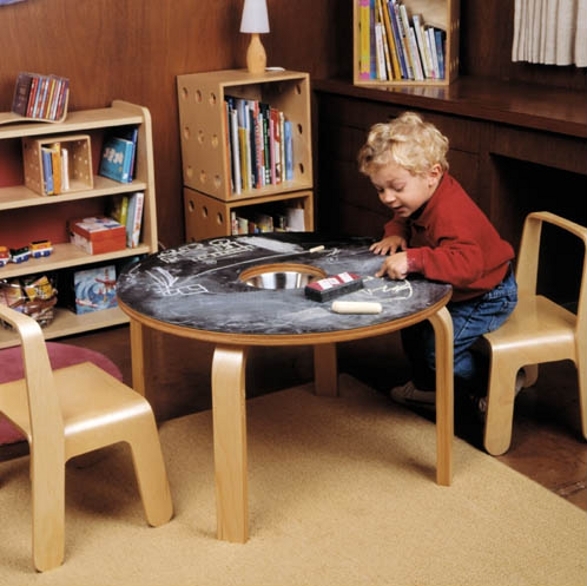 If your kid loves playing with chalk and you are sick of cleaning after, you may choose one of these great chalk table. 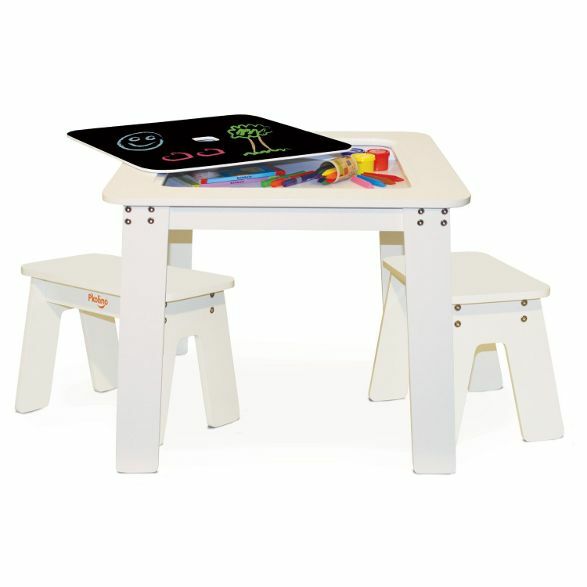 P'kolino Chalk Table with reversible table top quickly hides chalky mess and under the table storage compartment organizes art supplies. Includes two child friendly benches with easy maneuverability. Woody Chalkboard Table by Offi is another smart table with a durable chalkboard surface and a bowl in the center for chalk/eraser storage. Made of birch ply with a black high pressure laminate surface. Highly recommended by its users for its sturdiness and easy-to-write-on surface. 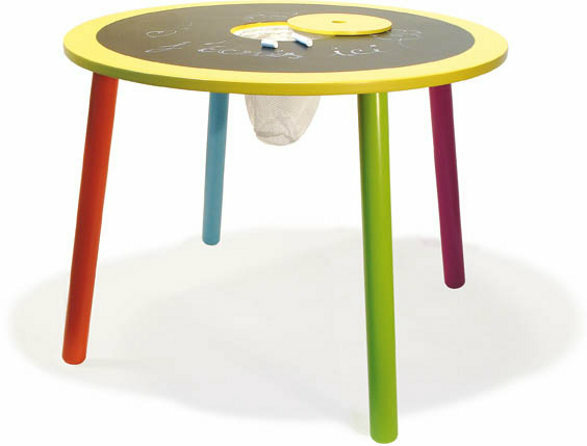 And the last, proposal from France - Vilac Chalk Table. 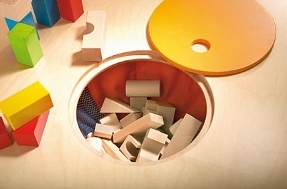 Functionally smart chalk table with a hidden storage. Ask you children which one they like the most. 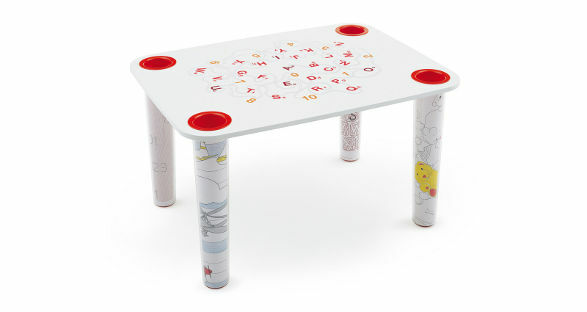 Mine have chosen: P'kolino Chalk Table (5 years old) and Haba round table (3 years old).